In October of 2016 I was diagnosed with breast cancer. Three short weeks after being diagnosed, I found out I had metastatic (stage 4) breast cancer. I was 32 at the time with an 8 month old baby, and a daughter who just turned 4. When I was first diagnosed, my supervisor quickly suggested I visit MD Anderson Cancer Center. At MD Anderson they uncovered that the cancer had spread to my spine, pelvis, and left arm. In January 2018 I was chosen to go on an Inheritance of Hope Retreat. Inheritance of Hope provides resources to help families with a parent facing a terminal diagnosis. They sent my family and me to Disney World, Seaworld and Universal Studios. Kendra Scott sponsored this retreat in memory of her best friend, Holley Kitchen, who passed away of metastatic breast cancer in 2016. At the retreat, I was fortunate enough to meet Kendra and several of her employees. We have remained in touch ever since. 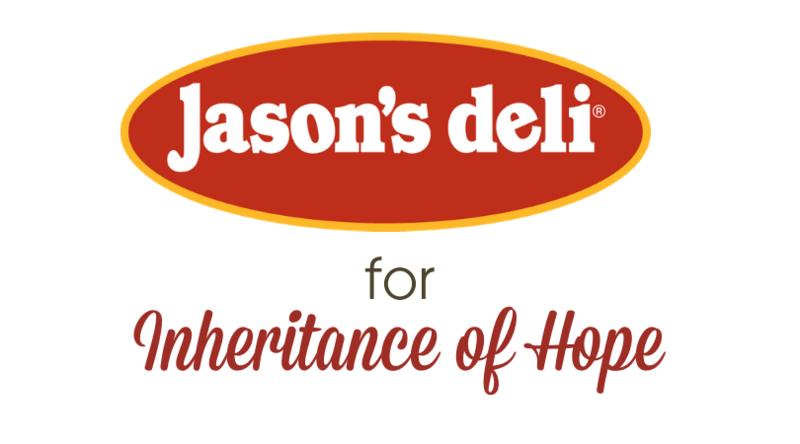 Given my story, it seemed like a natural fit for Jason’s Deli to partner with Kendra Scott. That’s why we are so excited to announce our partnership for Holley Day. October 13th is Metastatic Breast Cancer Awareness Day, which Kendra Scott lovingly named Holley Day. This Holley Day, Kendra Scott has committed to donating 20% of sales to Inheritance of Hope. On October 13th, participating locations will be donating 15% of sales to Inheritance of Hope for every order that mentions “Holley Day.” We will also be providing catering for select Kendra Scott locations. Jason’s continues to amaze me with the support they offer, and the amount of people who are in my corner.